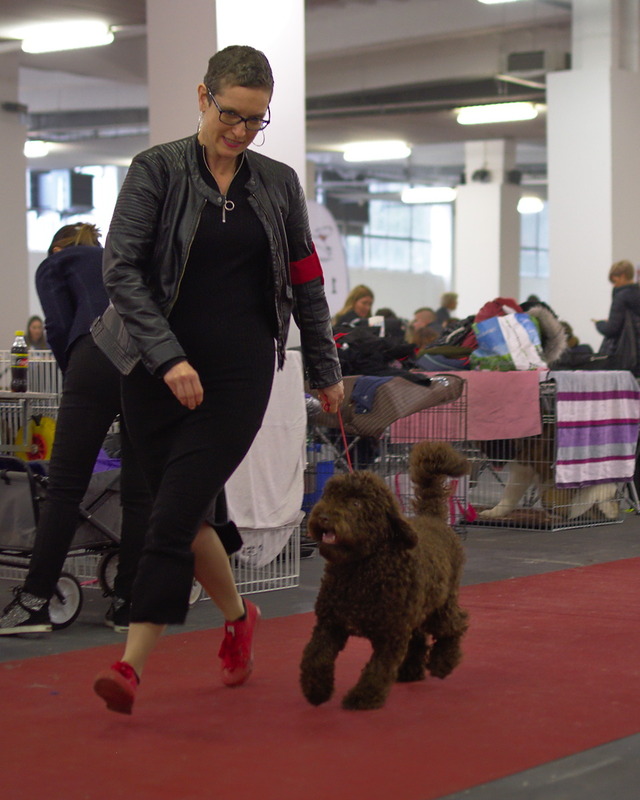 We were delighted to welcome Faye and her owner Sonja with her daughter Jördis at the Winter Winner Dog Show in Zagreb. 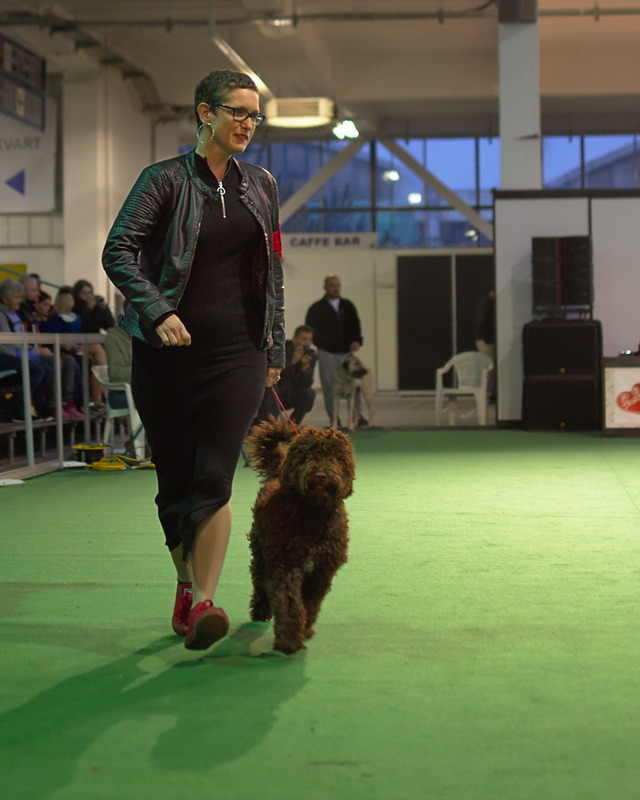 It was the first time for Faye to be at a dog show and she was just amazing. This little girl has been the most chilled dog from the litter right from the beginning and she continues being very relaxed. She didn't mind being among so many people nor did she mind being touched by the judge. 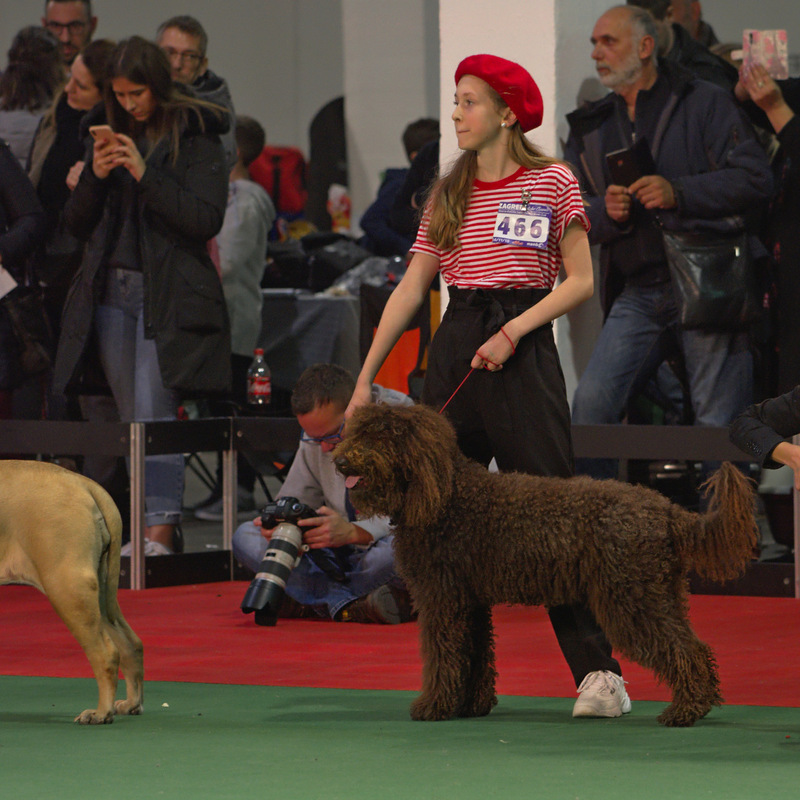 Sonja, who had never shown a dog before, showed her very well, not only in the small ring but also in the main ring for best puppies. Faye received a very promising, which we were very pleased about. Jördis has done a brilliant job in showing Bluna. She showed her on Saturday and received BOB and Best Veteran, which meant that she could show her twice in the main ring. It was lovely to see how well they worked together.